One interesting fact about casino data center design is that it is run almost the same way as a comparable sized bank, even though it appears very different to the customer. When a bank customer visits his local branch, everything about the building and setup exudes a serious atmosphere. All the colors are in white, blue, and silver, giving an air of permanence and stability. Everything in the bank is run by a centralized computer – this is a surprise to no one. Each bank representative and teller has a computer terminal. The ATMs, the phones, and the security cameras are all under computer control. Customers understand that their account records are stored in a central database. The display of automated control is shown to the customer on purpose in order to engender trust. In contrast, patrons do not get the same impression when they enter a casino. The dignified silence of the bank is replaced by dinging slot machines, clacking chips, and loud conversation. The bank tellers are replaced with smiling hostesses in short skirts. The main atmosphere of a casino is fun. There are no overt clues given to the customer that they have strolled into a business controlled by a sophisticated casino data center design. Everything in a casino is controlled by a computer to some extent. This is because the casino makes money on the “house odds”, the small percentage that favors the casino in each game of chance they offer. These odds can be destroyed by anomalies: a malfunctioning slot machine, or a player that counts cards. These spell anathema to a casino, and so are controlled very carefully by both computer and human supervisors. For instance, the slot machines of a modern casino are an integral part of the casino data center design. The computers are not allowed to control each outcome of the slot machines, but they do know the numerical algorithms that generate the random numbers for the machines. 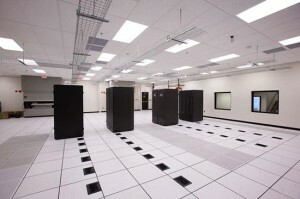 The data center computers include a test module which exercises the algorithm millions of times to calculate the odds of winning. The wins and losses of each machine or monitored as well, and verified to make sure they match the calculated test outcomes. The casino data center design also includes the ability for human input on those games which are not automated, such as craps. As serious players know, the odds of winning on each throw are 25%, the same as the odds of losing. The other 50% of the time, the gambler gets to throw again. This makes it seems that the odds of winning or losing are the same, but the delayed nature of the win/loss outcome pushes the odds in favor of the house by about 5%. The outcomes of each game of craps are entered by the croupier or the data center workers, and the results monitored to verify expected play. One of the most interesting uses of modern casino data center design is face recognition. Players that consistently beat the odds are registered in the database, and at some point, can be asked to leave the casino. Neighboring casinos often share this database, and the casino data center can alert the security manager right away that a very lucky player has entered the casino. Casinos are a serious business and it is reflected in the uses they find for their data centers. This entry was posted in Data Center Design and tagged casino data center design, computer room design, data center design. Bookmark the permalink.